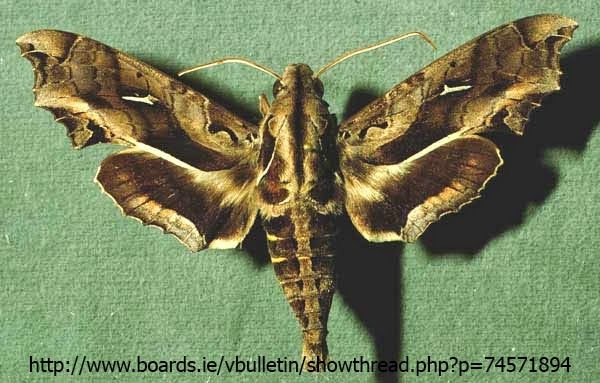 Hemeroplanes triptolemus is a Hawk moth, like the hummingbird Hawk Moth which is in another post. 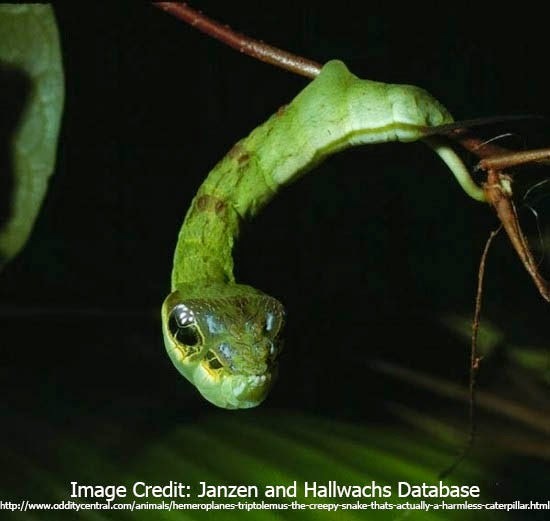 The Hawk Moth's defensive trick is that it mimics a small snake. When it feels threatened it inflates its head. 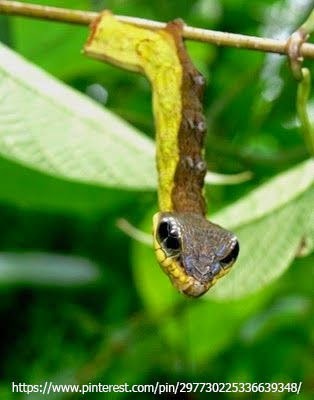 Shiny scales on the side of their head reflect light making it look like a snake. These guys would be amazing poker player, because when a predator isn't buying, instead of trying to cringe or flee for their life they double down. They lunge forward and pretend to strike their predators. If the predator gets hit, it doesn't harm them at all, it is just a very brave bluff. In some ways it is similar in appearance to Papilio troilus, which is probably adopting the same strategy. The adult is a less interesting looking nectar feeding moth. Hemeroplanes triptolemus is known from Central and tropical South America.